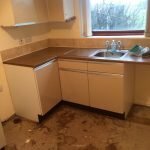 House Clearance Service In Kilwinning Ardrossan Beith Dalry Irvine Kilbirnie Kilwinning Largs Saltcoats Stevenston West Kilbride. 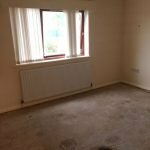 I am in the middle of moving house and have realised that i can not fit everything into my new home, i need quite a few things to be taken away by a house clearance service in Kilwinning, this includes, three wardrobes, two double beds, a single bed, a vanity dresser, three large chests of drawers, a sideboard and a small amount of bric a brac, also do you remove carpets?. 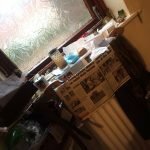 My house is located in Kilwinning, please let me know the soonest date you can come out. 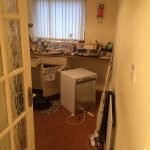 A black Hoover 9kg 1200 spin under counter washing machine. 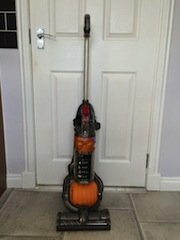 A grey and mustard yellow Dyson DC24 upright vacuum cleaner. 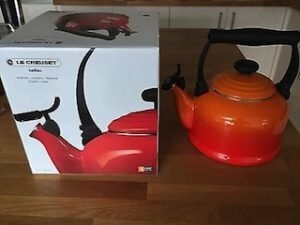 A brand new boxed Le Creuset enamelled orange teapot kettle. 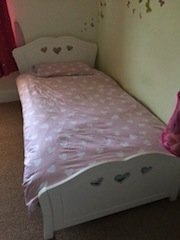 A white solid wood single bred frame carved with love hearts, together with a single mattress. 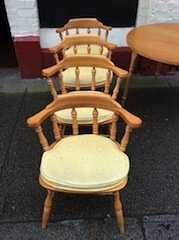 A circular solid wood dining table, together with four curved back matching dining chairs, with yellow seat pads. 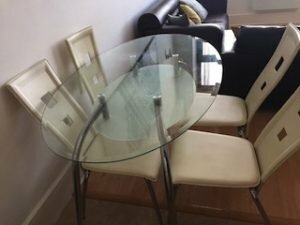 A chrome and glass topped oval dining table, together with four high back dining chairs, upholstered in cream faux leather. 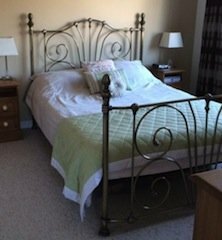 A white solid wood four poster single bed frame, together with a single mattress. 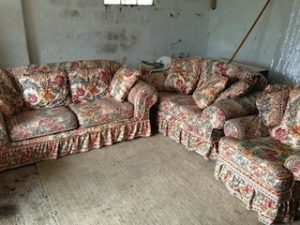 A three piece vintage sofa suite, comprising a pair of two seater sofas and an armchair, upholstered in colourful patterned fabric. 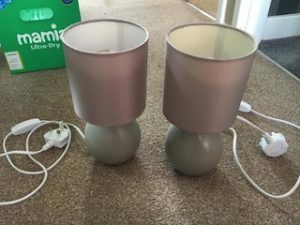 A pair of grey ceramic ball table lamps, together with grey fabric shades. 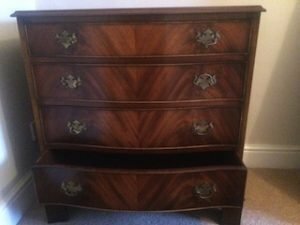 A vintage solid wood chest of drawers, having four drawers, each with two brass handles. 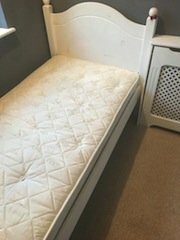 A king size brass four poster bed frame and king size mattress. 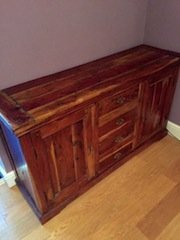 A Sheesham Mango wood sideboard, having a cupboard to either side of four central brass handled drawers. 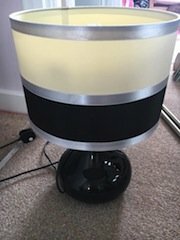 A black ceramic bulbous table lamp, with circular silver, black and cream striped shade. 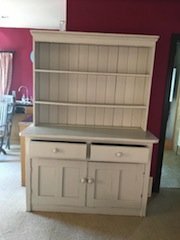 A hand painted white solid pine Welsh dresser, having two shelves above two drawers and a double cupboard. 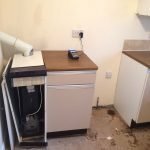 A black Indesit 8kg under counter condenser tumble dryer. 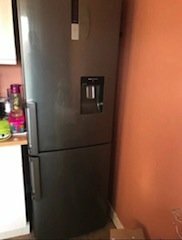 A tall standing silver two door fridge freezer, with built in water and ice dispenser. 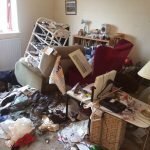 Excellent standard of house clearance work throughout. 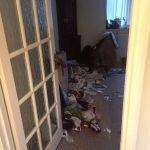 Northern house clearance staff arrived punctually on the day and packed the contents of my grans house in Kilwinning into their van. 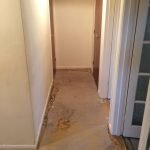 It was the hottest day of the year and they worked tirelessly to get the house clearance completed. 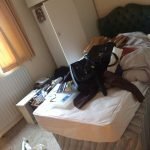 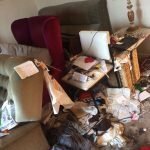 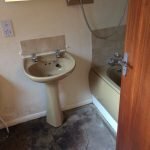 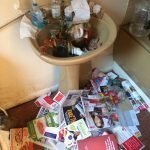 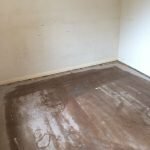 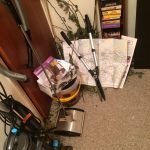 They took care with removing all the furniture no matter how large or small Read Many More: REAL house clearance customer comments.